Too much rain in England, too little in California. Snow and ice in Texas, a balmy 70-degrees at the Winter Olympics. Whether you believe these are the end times, or simply attribute it to global warming, either way, it’s time to pour a coffee and read this week’s link list. This Wednesday feature is owned by PARSE, the blog of Leadership Journal, a division of Christianity Today.Clicking anything below will take you there, where you can click on individual stories. What if the people who put their energy into this pessimistic, satirical church website had instead created an actual fruit-bearing church that non-Christians would want to attend? The face of Evangelicalism in the UK is somewhat monopolized by programs managed by the ministry conglomerate, Holy Trinity Brompton. One of the stars of National Geographic’s Snake Salvation is dead of a snake bite. He is also reported to have refused medical intervention. One survey is suggesting that only 11% of young Christians could come up with an answer to the “Why Wait?” question. Move over, Systematic Theology, there’s a new theological textbook in town. A Philadelphia reporter looks at a Catholic and a Mormon congregation experiencing very different states of financial health. Christian rapper Bizzle has reportedly received death threats following the posting of a video that is a response to a song sung at the Grammy Awards. The latest faculty member at Southern Evangelical Seminary & Bible College in Matthews, N.C is a robot. Current duties include frightening a cat, but its role will increase in a study of human-machine relationships and ethics. Pastors: Check out this succinct summary of three lessons learned in an art gallery on maintaining unique ministry vision in a copy-and-paste world. …but one astute reader noted that absent from the list was Roger Olson. Kirk Cameron’s Unstoppable film from Provident Pictures tops the Christian DVD chart this week. Reconciling the Old Testament God and the New Testament God may be rooted in a wholly Trinitarian understanding of both. Straining at gnats and swallowing camels? Forget the young-earth/old-earth controversy, the in thing this week has to do with camels in Genesis. 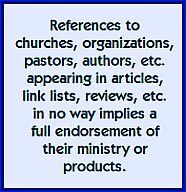 Tired of the same old ministry models? How about a marijuana ministry that offers cannabis compassion? Missional churches are naturally opposed to the big-box, attraction church model, but even in that context, there is a need for collective, corporate gatherings. From the land down under — you may need enhanced internet service — 10 rules for preaching the parables. Uber-blogger Tim Challies has kicked off a new series dealing with “some of Christianity’s most notorious false teachers.” Begin with Arius, who didn’t believe Jesus was co-eternal with God. A Mennonite pastor notes that his church’s discussions about sexuality often omit specific references to sin. Lost video treasures: Here’s an alternative rendering (that’s a clue) of the popular worship song 10,000 Reasons (Bless the Lord). Essay of the Week: What kind of world do your kids choose to live in? A blogger who is in the middle of converting from Christianity to Judaism interviews someone who has ‘de-converted’ from Christianity to atheism. A Christian writer says such stories “are like blood in the water for circling skeptics.” Read her reaction. Not sure why they published this as a women’s book, as I know a few guys who also feel their world is crashing: You’re Going to Be Okay is the newest from Holley Gerth. The latest conflict between pro-life ideals and abortion inducing drugs doesn’t involve an organization concerned about health care spending; this time it’s about a pharmacist. When a converted lesbian spoke at Wheaton College, some students organized a demonstration, though not necessarily against the choice of chapel speaker. Despite being in a “people business,” many pastors are terrible at leading their own staff. Clout author Jenni Catron suggests three reasons. Who knew? 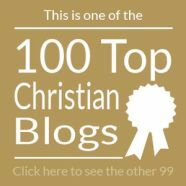 There’s a blog with a high Technorati rating called Theology For Girls. I liked this book, but with some language issues, it’s not for sale at CBD. If you transition from a megachurch to a small church plant, you’ll need to adjust your worship singing volume. Paul Wilkinson blogs daily at Thinking Out Loud, but has been known to name-drop this Christianity Today connection in conversations. Suggestions are welcome, but make sure they’re real stories. Upper photo: sourced at Matthew Paul Turner’s blog, who got it from Tumblr. Click image to link. 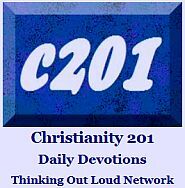 Clark Bunch includes one of these CoffeeWithJesus.com panels in his Monday blog post each and every week.